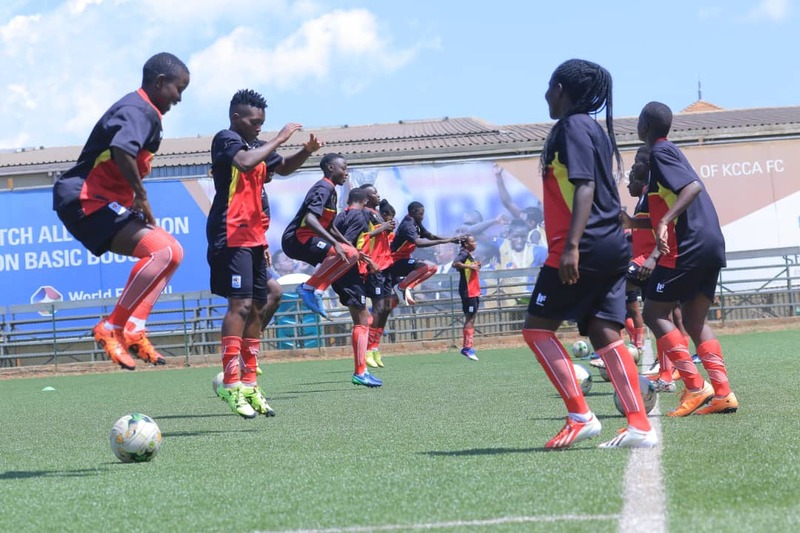 LUGOGO – The Uganda Women National Football team, the Crested Cranes will be hoping to overturn a first leg deficit when they host Ethiopia at the StarTimes Stadium on Saturday. 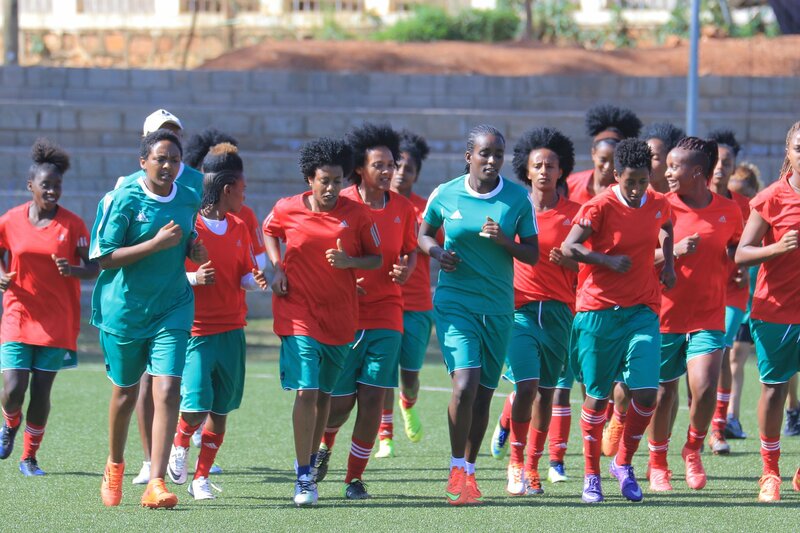 Faridah Bulega’s charges lost 3-2 to their Ethiopian on Wednesday in the first leg of the 2020 Olympics qualifiers and will head into the game knowing that just a 1-0 win will see them march onto the next round. After returning on Thursday, the team embarked on serious preparations that will see them make the next step on their maiden appearance at the stage. On Friday, they conducted a last training at the StarTimes stadium, one which was characterized by team work, attack and transition. Luckily for Bulega and her technical team, they head into the crucial game without any injury concerns as all the players are fit and ready to go. Faridah Bulega, Crested Cranes head coach. “Thanks to God everyone is ok after the last training. “We expect victory that is if God is with us. “We are going to do everything possible to get the victory so that we march onto the next level. “The game on Saturday, i am going to do everything in my power so that we attack them and also play safe at the back so that we do not concede. Tracy Akiror, Crested Cranes Captain. “Our advantage is that we scored twice away from home which means we now require only one goal to go through. “We are more determined than we were when we went to Ethiopia and we want to win. “We are ready to defend so that we do not concede but also attack and score as many as we can. Having started on the bench, Hasifah Nassuna who scored the second of Uganda’s two goals in Addis Ababa is expected to start upfront along with US based Sandra Nabweteme. With the duo in the team, the Crested Cranes will be confident of getting at least a goal on Saturday. For Ethiopia, their main task will be shutting out Uganda as a goalless draw will see them through to the next round. But having conceded twice at home, they will be worry of the threat that Uganda posses upfront and will hope at least they do not concede early in the game. The team from the horn of Africa held their last training yesterday afternoon and looked to be set to take on the Cranes. The Ethiopian team training at Lugogo on Wednesday. Ruth Aturo (UCU Lady Cardinals), Daisy Nakaziro (Lady Doves). Shadia Nankya (Uganda Martyrs High School Rubaga), Aisha Namukisa (Kampala Queens), Viola Namuddu (Makerere-She MAK), Yudaya Nakayenze (Siminole State College, USA), Grace Aluka (Kawempe Muslem SS Ladies FC), Marion Amangat (Olila High School). Phionah Nabbumba (Ajax Queens), Tracy Jones Akiror (Kawempe Muslem SS Ladies FC), Shamilah Nalujja (Isra Academy), Fauziah Najjemba (Isra Academy), Lilian Mutuuzo (Kampala Queens), Ritah Nabbosa (Lady Doves). Juliet Nalukenge (Kawempe Muslem SS Ladies FC), Hasifa Nassuna (UCU Lady Cardinals), Zainah Namuleme (Kampala Queens), Resty Nanziri (Kampala Queens), Sandra Nabweteme (Southwestern Oklahoma State University, USA) and Fazila Ikwaput (BIIK Kazygurt, Kazakhstan).